La Botte Gardiane takes a little high, and presents its first model to heel! 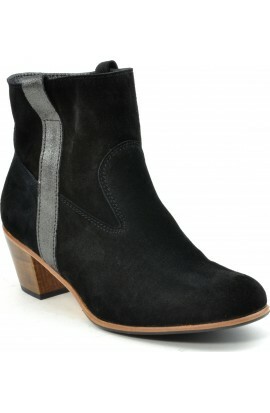 Chic and casual, this boots will seduce you with their comfort. Customized model +30€ included. Customized models can not be returned nor exchanges except in case of shoe size error. Of rare elegance, this boot with heel (5cm) combines comfort and refinement. Entirely manufactured in France, in our workshop with exceptional leathers and a unique know-how. Non-slip pads included. Other colors, click HERE. 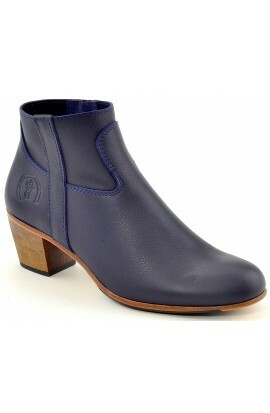 La Botte Gardiane is pleased to present its first boot heel! Ideal height (5cm) that refines the silhouette and allows long hours of shopping (or ride). Made in France, we take great care in its making and selection of leathers. Non-slip pads included. Other colors, click HERE. Shipping included to mainland France. 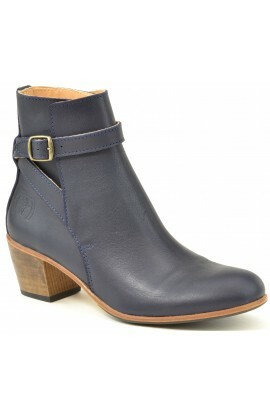 Here is our first boot heel! Ideal height (5cm) that refines the silhouette and allows long hours of shopping (or ride). Combination of the excellence of our know how and finest French leather, you will also be seduced by its comfort. Non-slip pads included. Other colors, click HERE. Shipping included to mainland France. 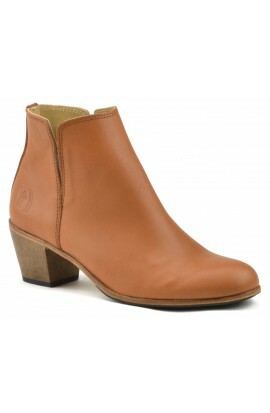 Short boots with heels (5cm) that refines the silhouette and ensures ideal comfort. Presented in our beautiful soft leather that resists water and patina over time. Entirely made in France in our workshop Options: Non-slip pads. Other colors, click HERE. Shipping included to mainland France. Short boots with heels (5 cm) light and very comfortable. This black soft leather is of incomparable quality, treated stain, it is water resistant and stays soft and silky. Handmade in France in our workshop. Non-slip pads included. Other colors, click HERE. Shipping included to mainland France. Short boots with heels (5 cm) light and very comfortable. This black soft leather is of incomparable quality, treated stain, it is water resistant and stays soft and silky. Handmade in France in our workshop. Non-slip pads & lining boots included. Other colors, click HERE. Shipping included to mainland France. 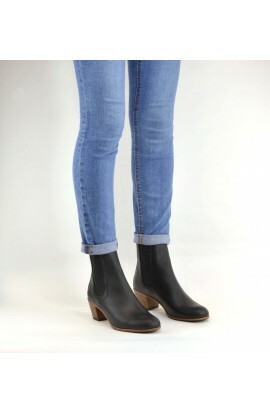 Short boots with heels (5 cm) light and very comfortable. This natural soft leather is of incomparable quality, treated stain, it is water resistant and stays soft and silky. Handmade in France in our workshop. Non-slip pads and lining boots included. Other colors, click HERE. Shipping included to mainland France. Lightweight and Ultra comfortable, this heel boot (5cm) will also seduce you by the quality and originality of its inverted glittery leather: the shiny side is inside. Once turned your boots shines with a thousand lights. Other colors, click HERE. Including shipping to mainland France. Non-slip pads included. Of rare elegance, this boot with heel (5cm) combines comfort and refinement. Entirely manufactured in France, in our workshop with exceptional leathers and a unique know-how. Non-slip pads & lining boots included. Other colors, click HERE. Shipping included to mainland France. Lightweight and Ultra comfortable, this heel boot will seduce you by the quality and originality of its inverted glittery leather: the shiny side is inside. To protect the leather sole, we recommend you to add rubber pad soles (see options). Other colors, click HERE. Including shipping to mainland France. Non-slip pads included. This leather boot will dazzle you! With this suede glittery gold, its lightness and its immediate comfort, it has everything to seduce you. Non-slip pads included. Shipping included to mainland France. This leather boot will dazzle you! With this suede glittery black, its lightness and its immediate comfort, it has everything to seduce you. Non-slip pads included. Shipping included to mainland France. Customized model +30€ included. Customized models can not be returned nor exchanges except in case of shoe size error. Of rare elegance, this boot with heel (5cm) combines comfort and refinement. Entirely manufactured in France, in our workshop with exceptional leathers and a unique know-how. Non-slip pads and lining boots included. Of rare elegance, this boot with heel (5cm) combines comfort and refinement. Entirely manufactured in France, in our workshop with exceptional leathers and a unique know-how. Non-slip pads and lining boots included. Other colors, click HERE. Shipping included to mainland France. Customized model +30€ included. Customized models can not be returned nor exchanges except in case of shoe size error. To custom your shoes with another color choose a standard model and customization option. Of rare elegance, this boot with heel (5cm) combines comfort and refinement. Other colors, click HERE.